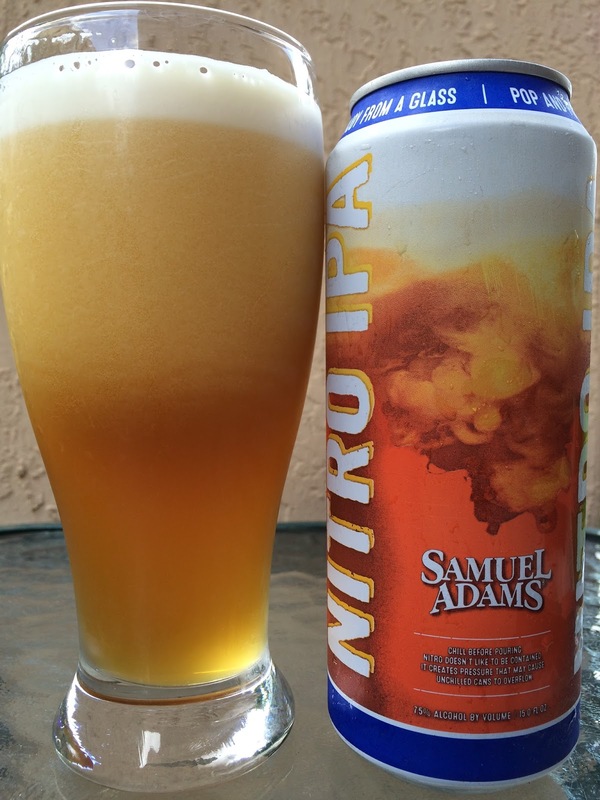 So that was the progression of a really cool cascade from my (15 oz) pounder can of Samuel Adams Nitro IPA. Maybe they did 15 oz because of the widget? Anyway, I probably would have tried this sooner if my local liquor store made it obvious I could try singles of it rather than buy a sealed box. No cans in the singles section, so I finally asked the store manager and he said sure! Uh oh! Enjoy by May, 2016. I drank it in June but still! And I guarantee those same boxes are still on the shelves today. 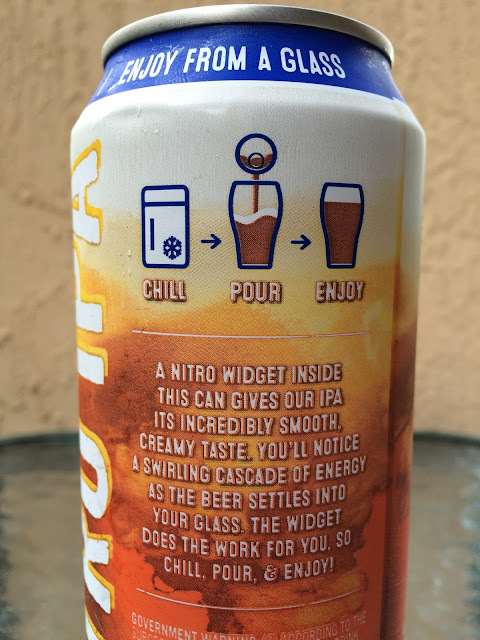 7.5% alcohol. 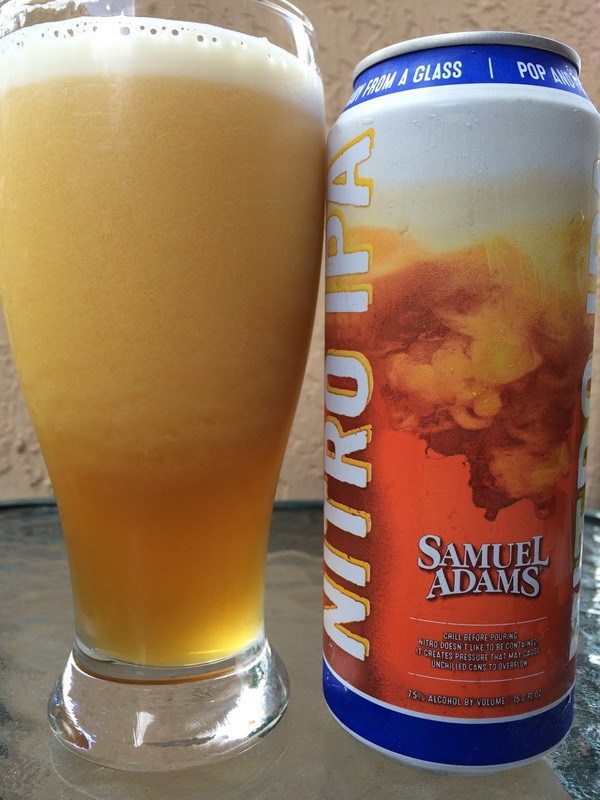 Fruity, citrus, hoppy aroma. Super creamy texture. Nice balance of caramel malt and lots of hoppy orange citrus. A little spicy too. Has that "Sam Adams" flavor, herbal sweetness that lingers into the aftertaste. Lacing ROCKS if that's your giddyup. Would've like a little sharper, crisper, bitter, but nice and definitely interesting. That would go well with citrus tarts and bacon.